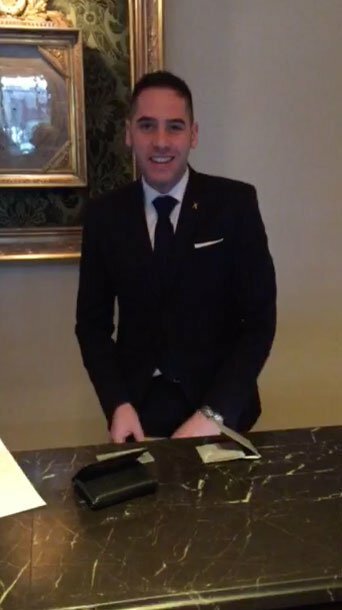 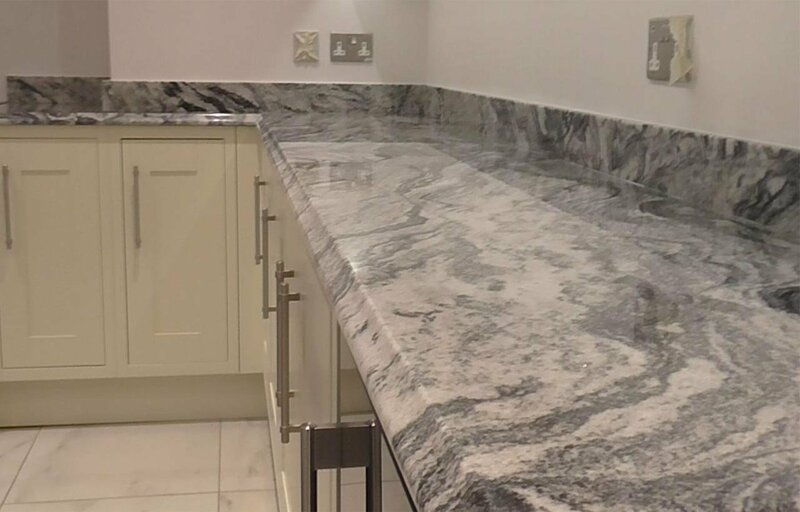 At Mayfair Granite the main priority for all our team is making sure we have happy, satisfied customers who love their worktops. 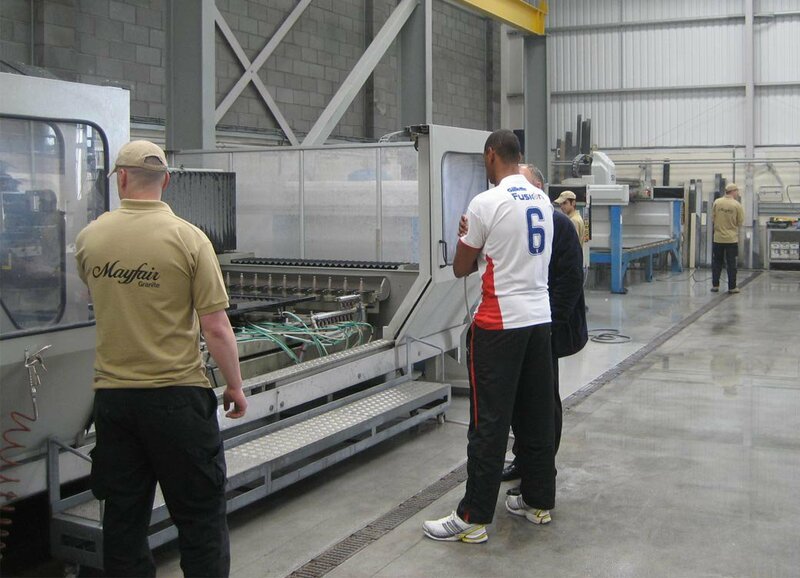 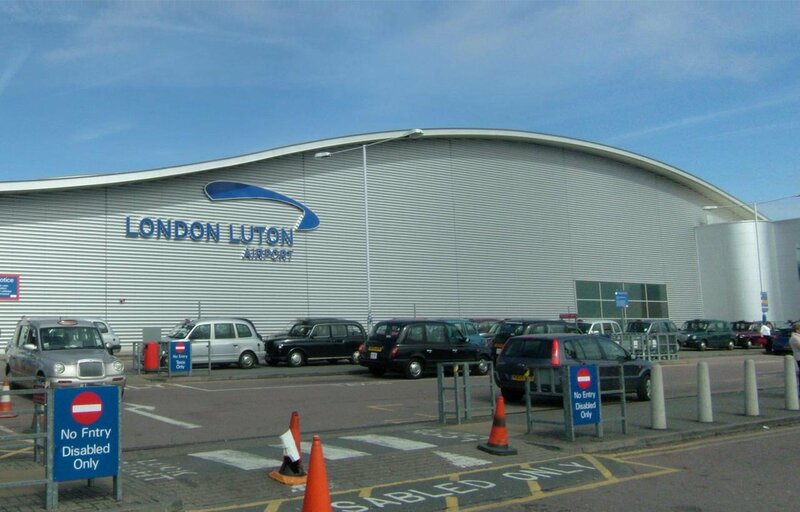 We take pride in our excellent levels of customer service, and ensure that we deliver on time and in budget, with our customers kept informed at every stage of the process. 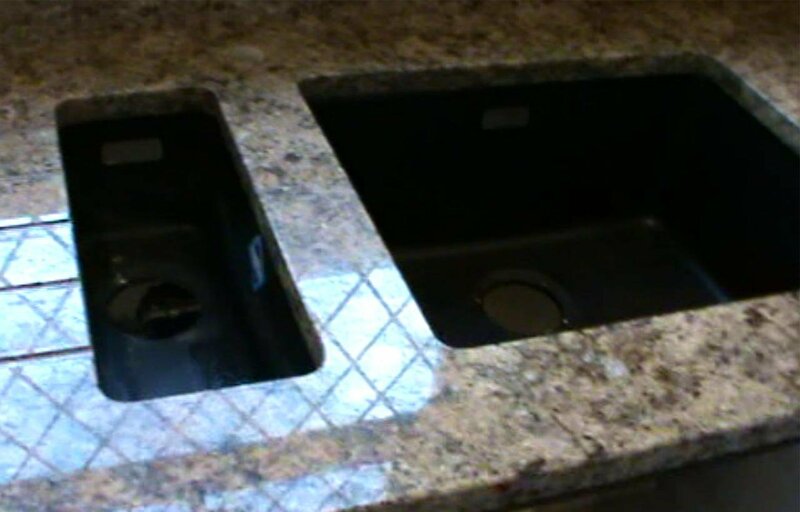 That's why our reviews are consistently so good, and customers from around the country are happy to give us the types of testimonials you can see here. 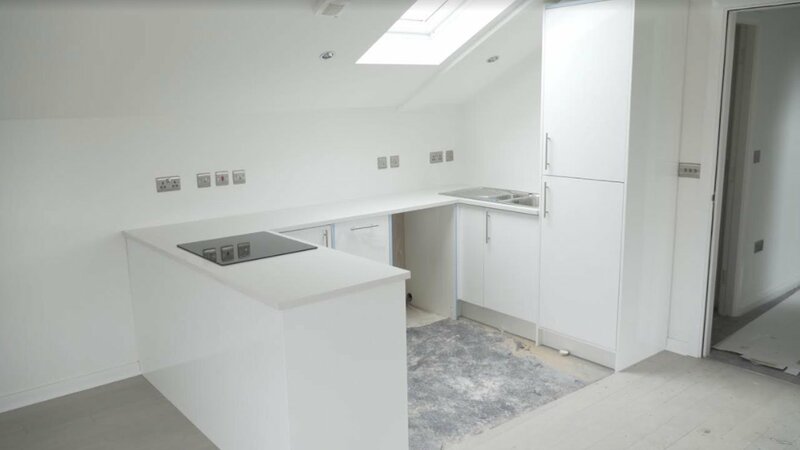 Frances Atkins is one of only six female chefs with a Michelin star so when she needed some worktops for her new kitchen she knew where to go to get them. 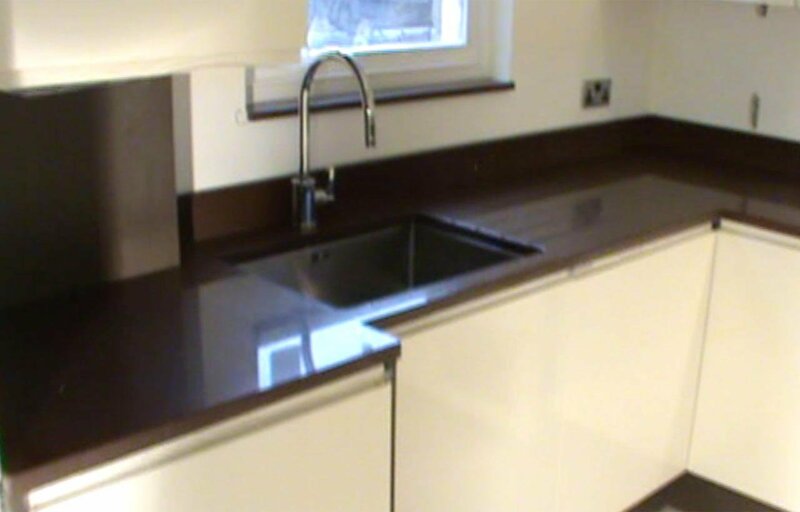 Mayfair Granite installed some Crema worktops for her. 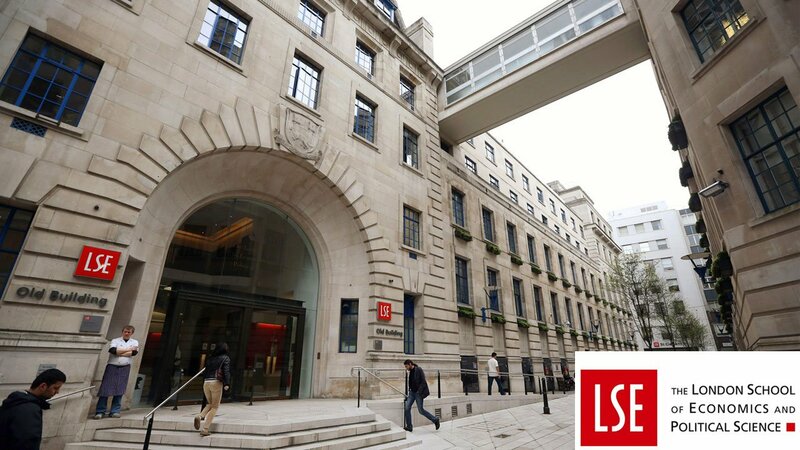 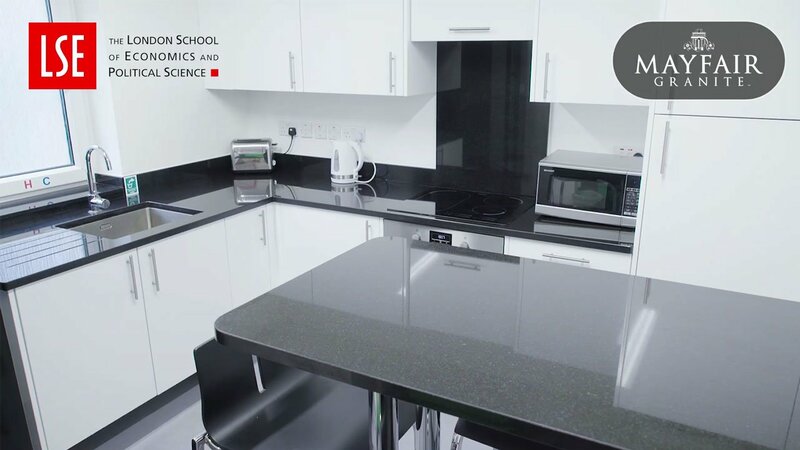 We recently installed granite worktops in 30 apartments for the London School of Economics. 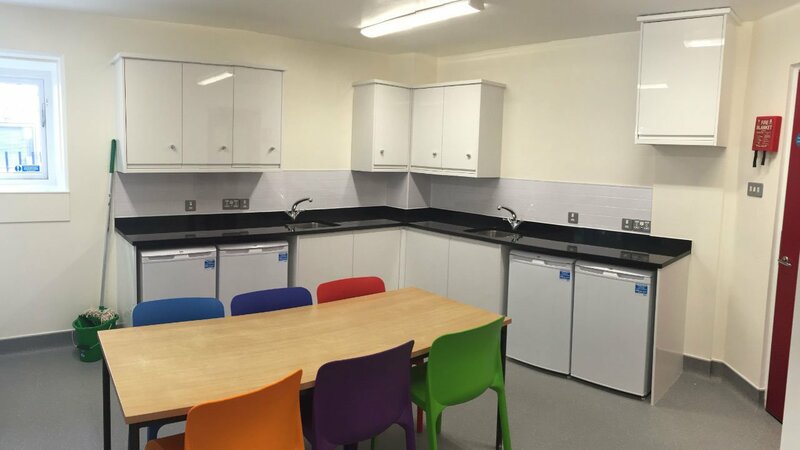 As one of the world’s top multidisciplinary universities, University college London required some high quality worktops to be fitted in their student accommodation facility. 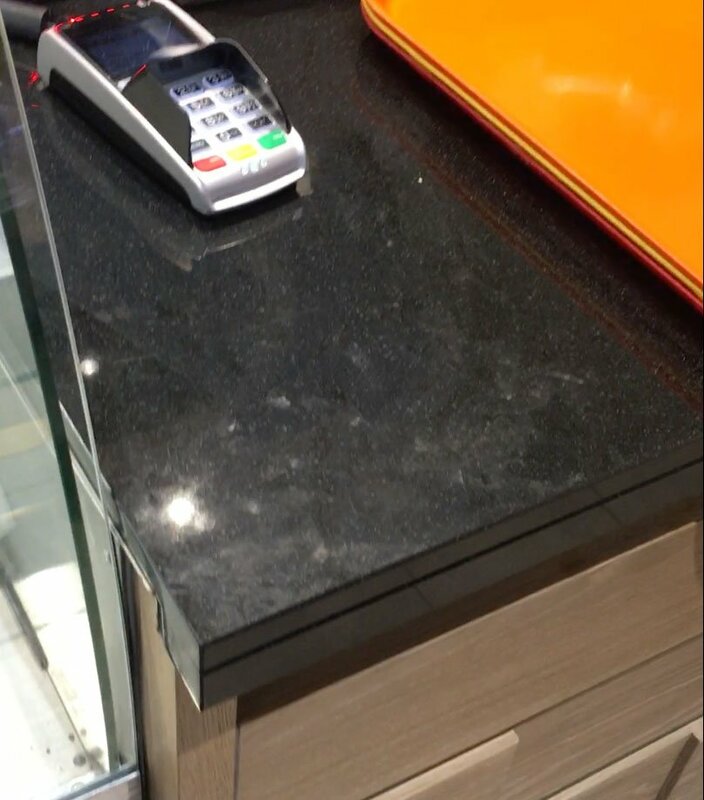 Mayfair granite installed over £100,000 worth of absolute black granite worktops. 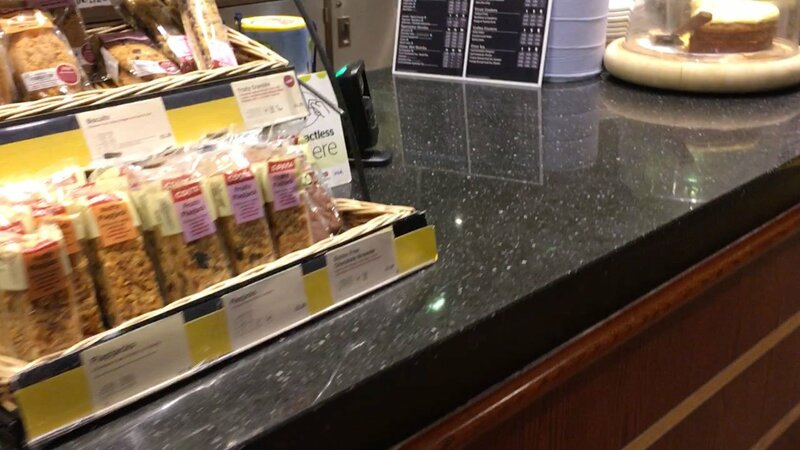 With 2,000 stores across the UK when Subway contacted Mayfair Granite for new granite worktops, we were obviously very excited. 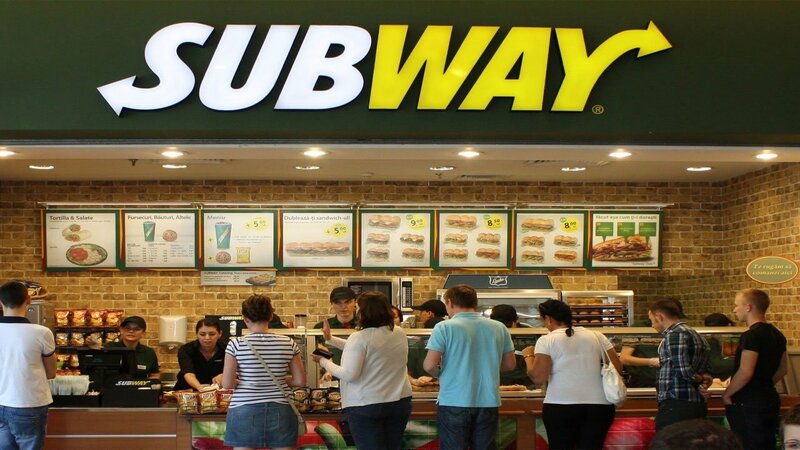 We installed these beautiful Absolute Black granite worktops for Subway. 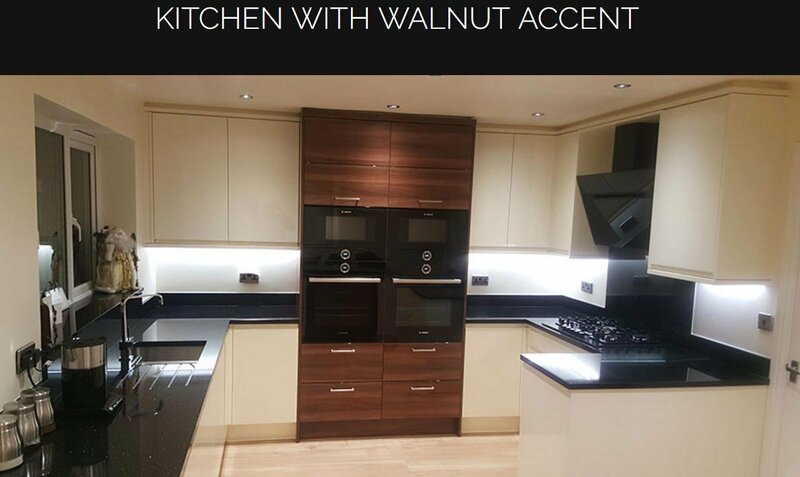 "The service provided was great and the worktops had an incredible finish"
When the nation's favourite coffee shop needed worktops, they came to the nation's favorite worktops supplier Mayfair Granite. 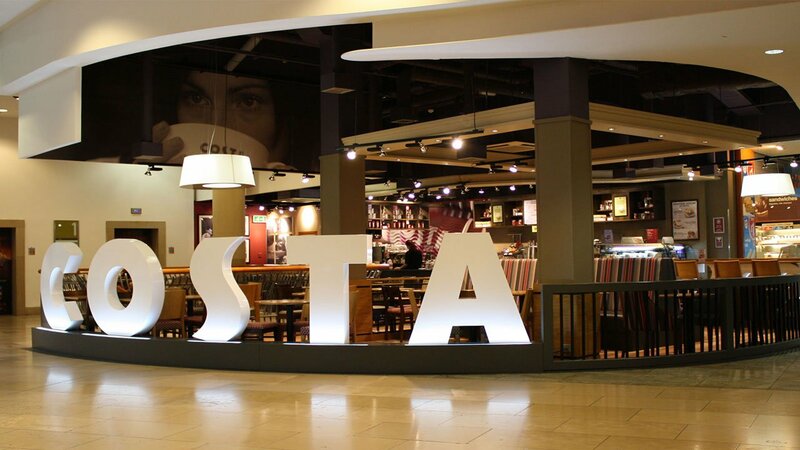 So we installed these beautiful Platinum quartz worktops for Costa Coffee. 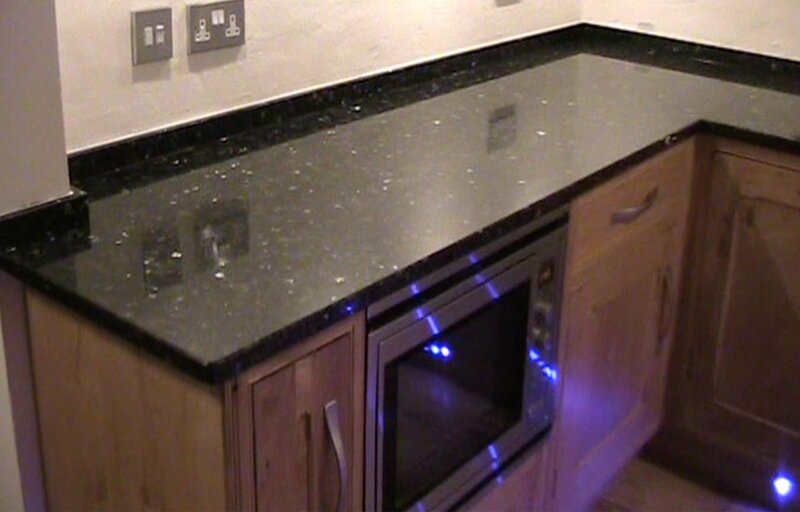 "Mayfair Granite came to the rescue after we had poor quality worktops installed by a local company. 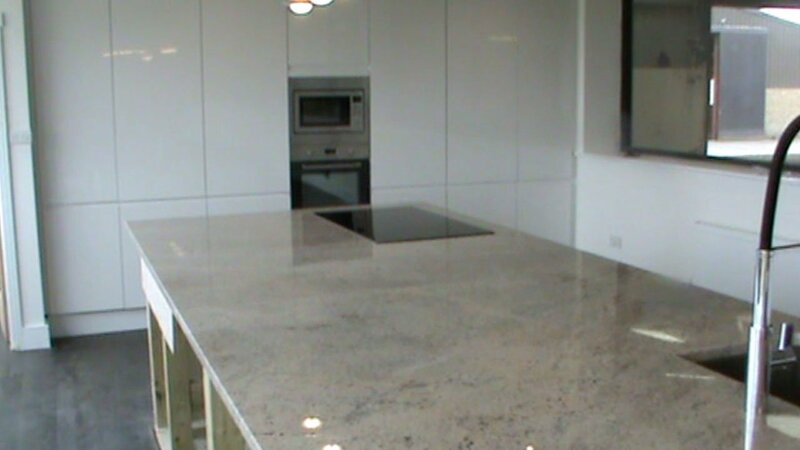 Mayfair Granite replaced the worktops with premium quality granite worktops. 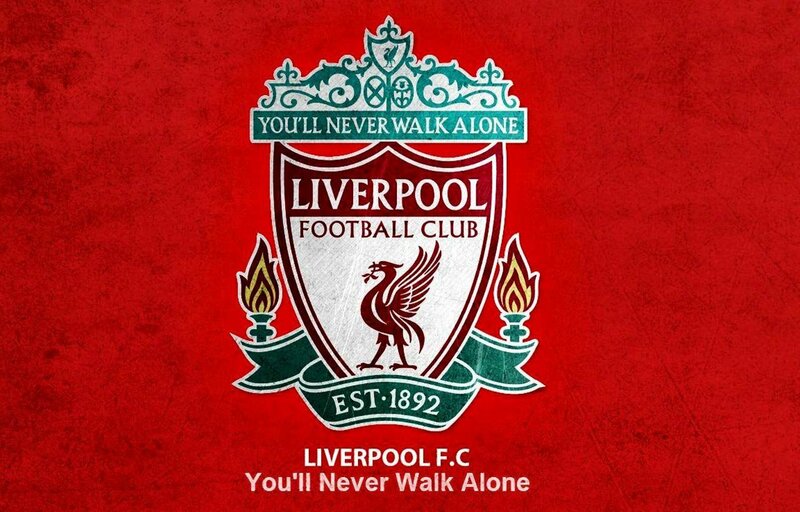 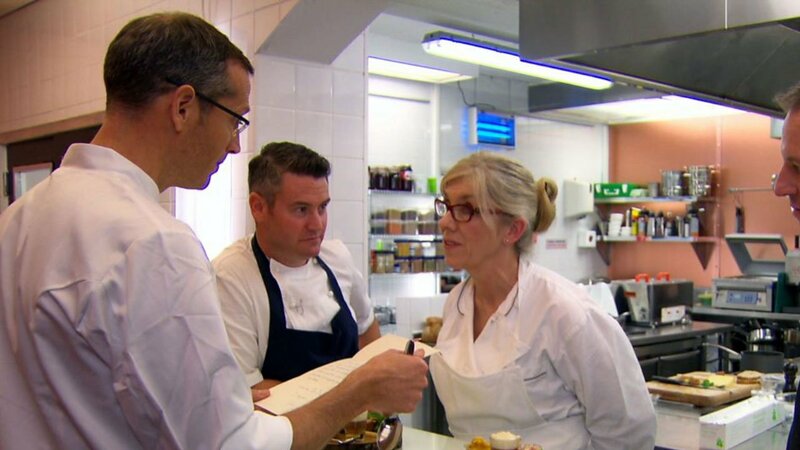 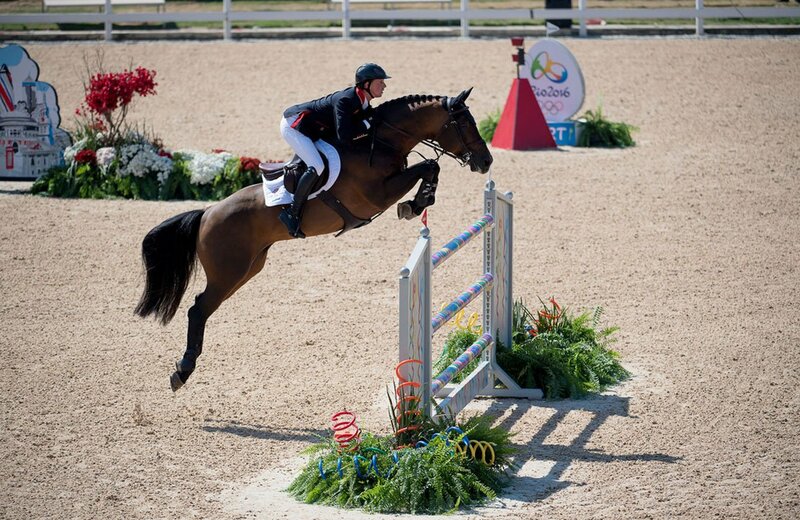 They were excellent from start to finish." 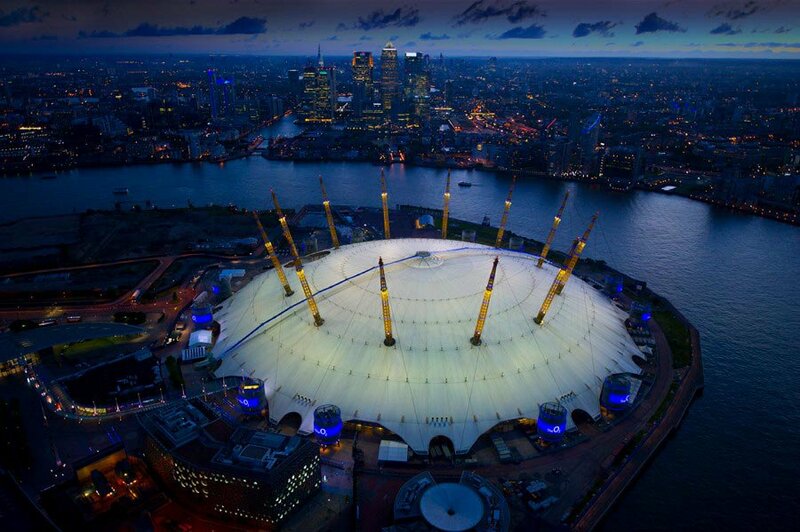 When the world’s busiest music venue needed new hard wearing worktops, they came to Mayfair Granite. 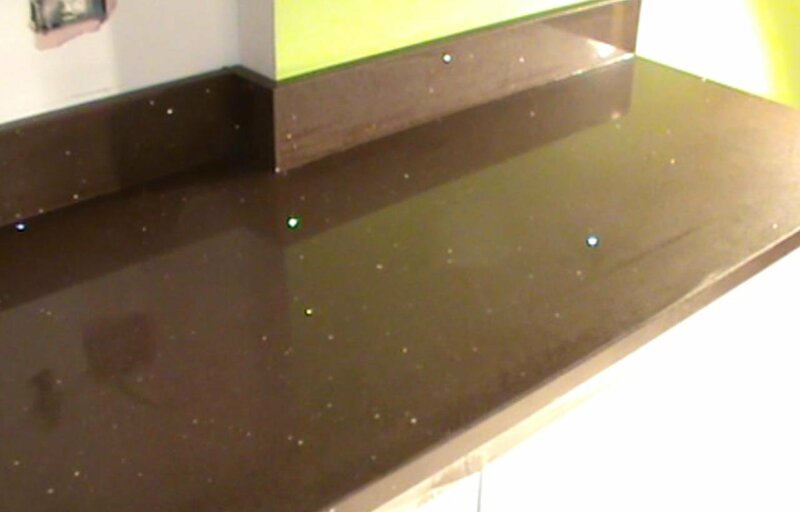 Our expert stonemasons advised that Black Starlight quartz worktops would be ideal, as they are scratch and stain resistant. 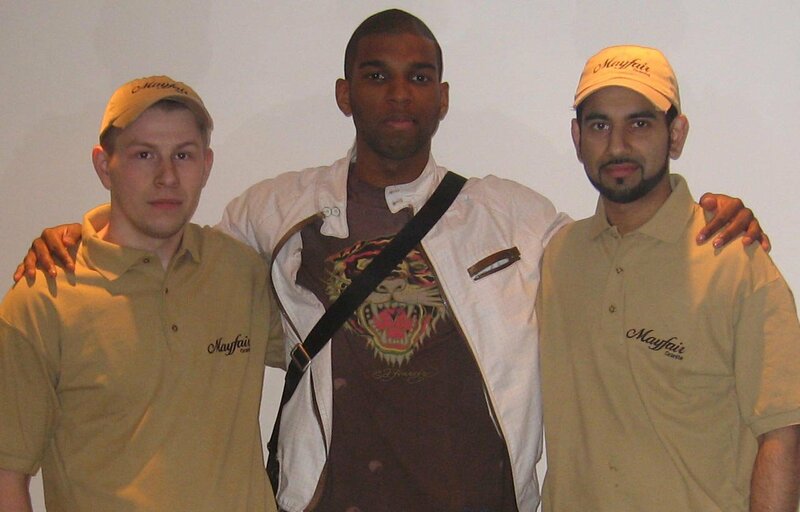 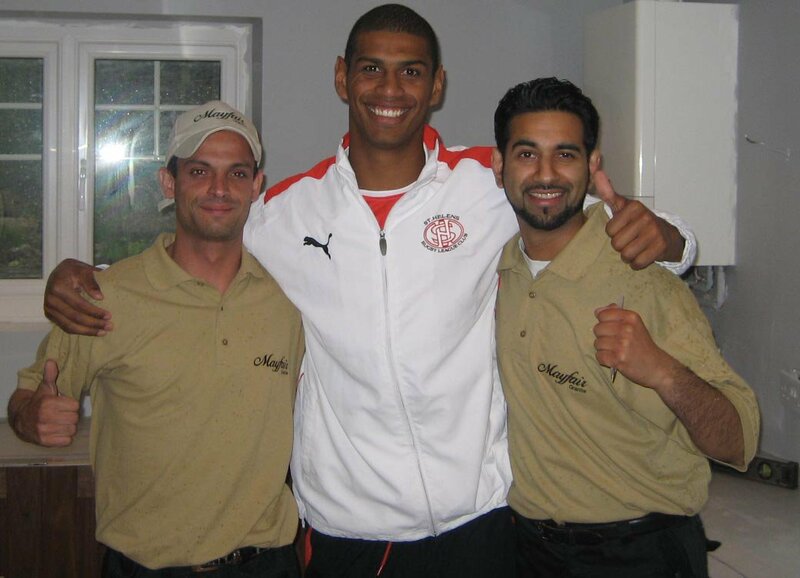 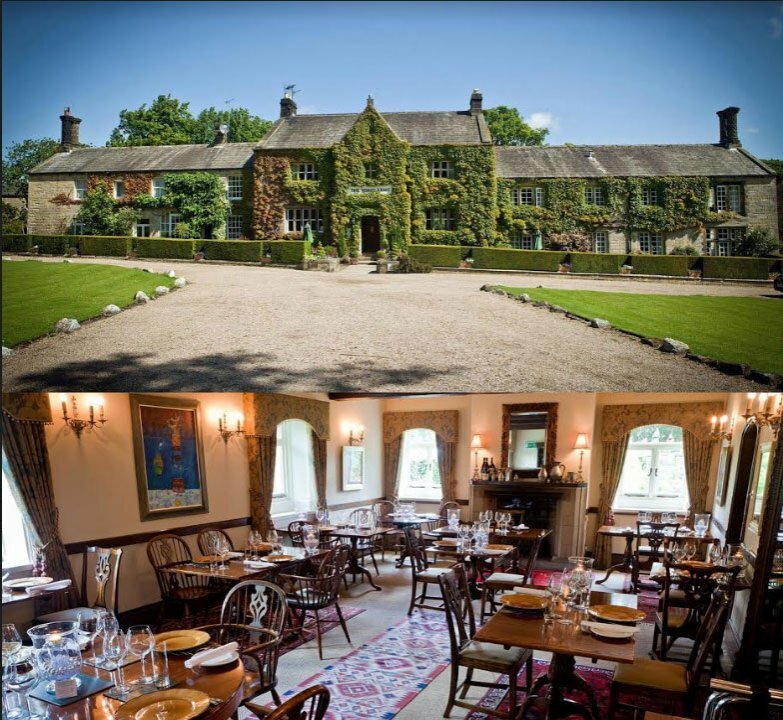 Due to the fact the venue was always very busy the team had to work around this and keep to a very tight deadline. 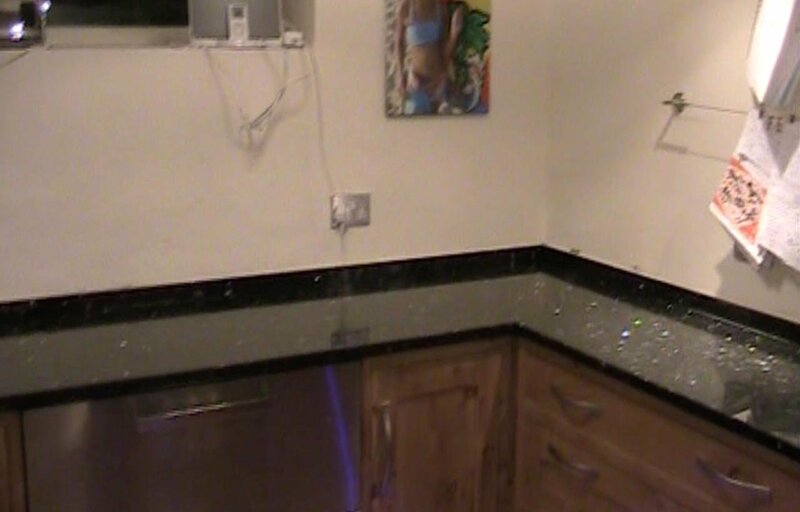 The new Black Starlight quartz worktops were installed within the agreed time frame. 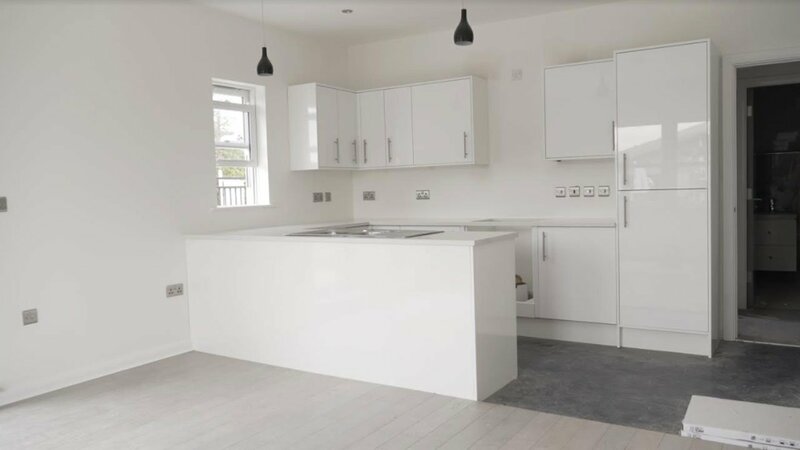 Mayfair granite have recently installed some Ice White quartz worktops in 7 new apartments in Broughton court. 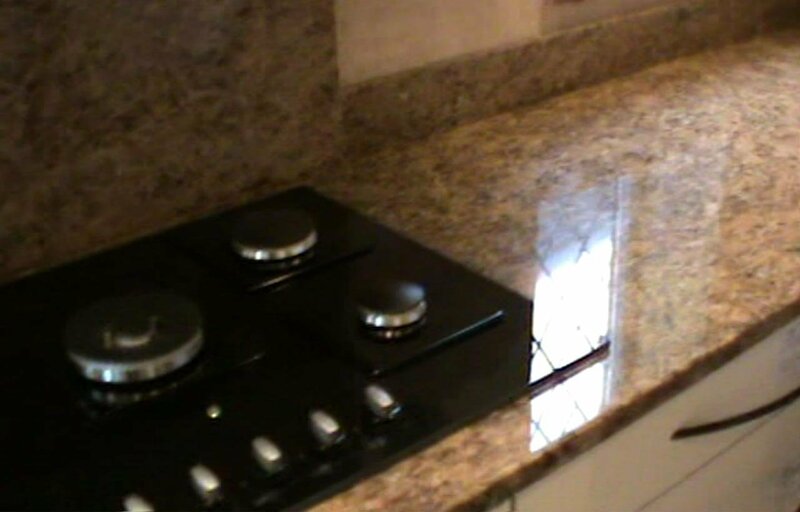 Owen at Abby Kitchens contacted Mayfair Granite to replace poor quality Star Galaxy granite worktops that were installed by a local company. 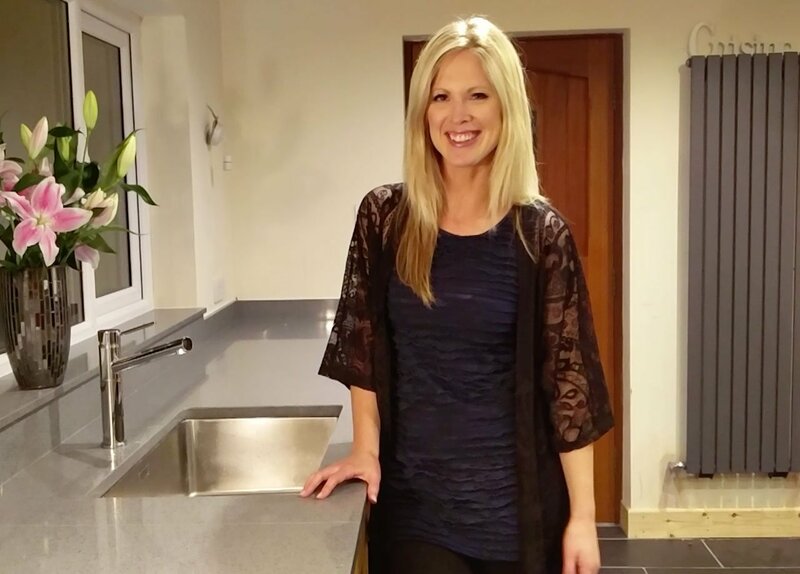 "These are my new quartz worktops that I have just had installed by Mayfair Granite, from the first point of contact to installation they have been first class." 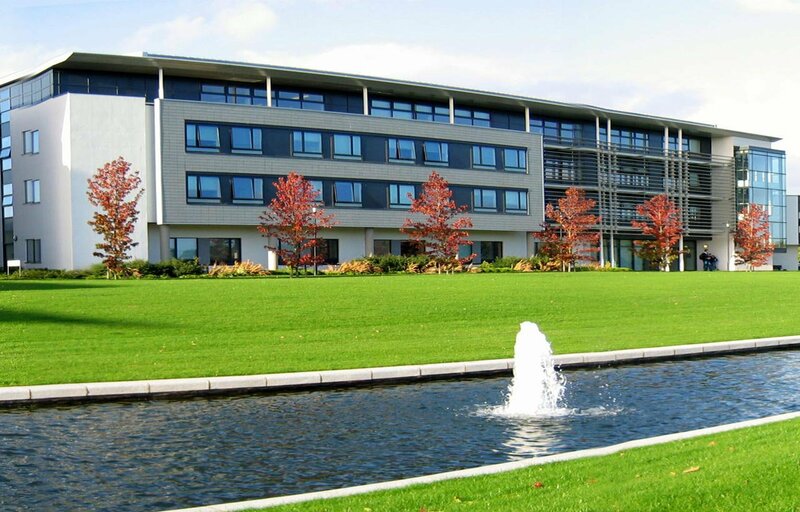 Ranked in the top ten universities of the country the University of Warwick has a reputation for excellence. 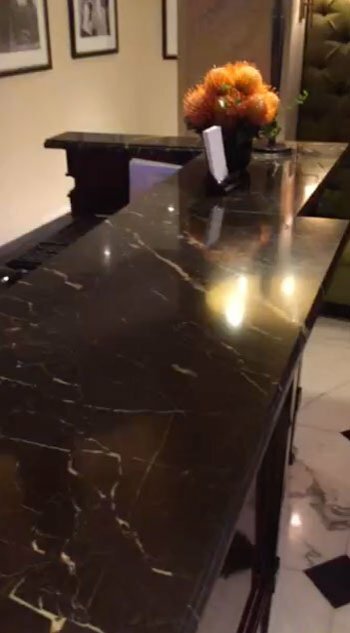 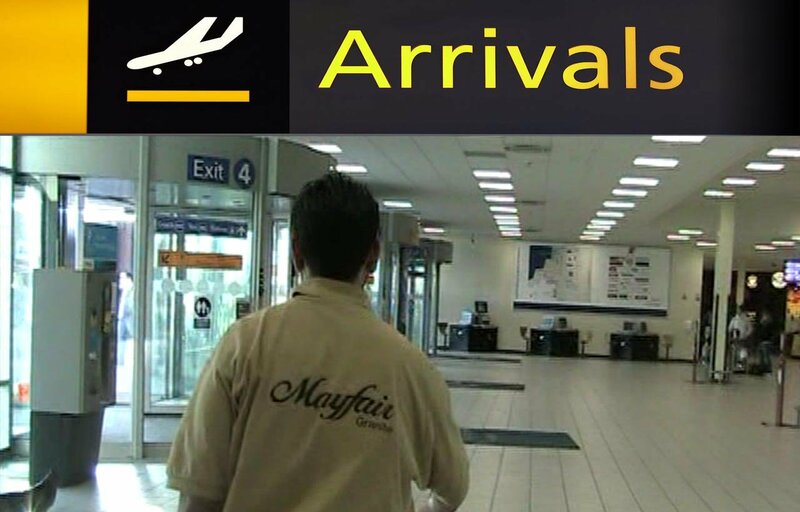 This led them to contact Mayfair Granite for their new Absolute Black granite worktops. 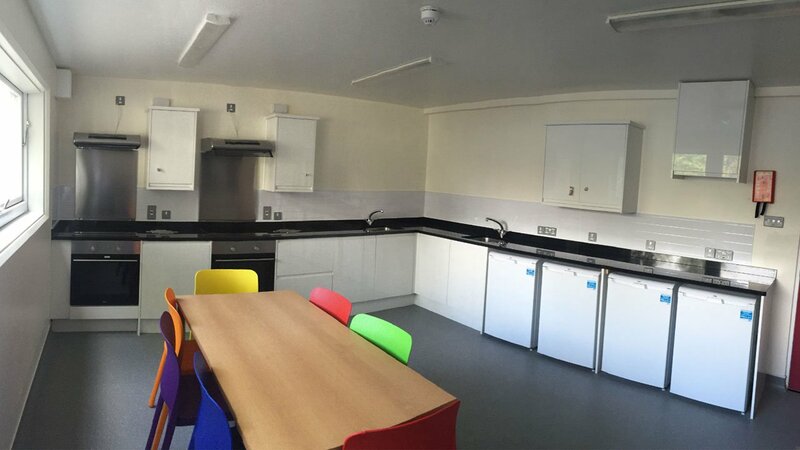 Viscount White granite Worktops installed recently by Mayfair Granite. 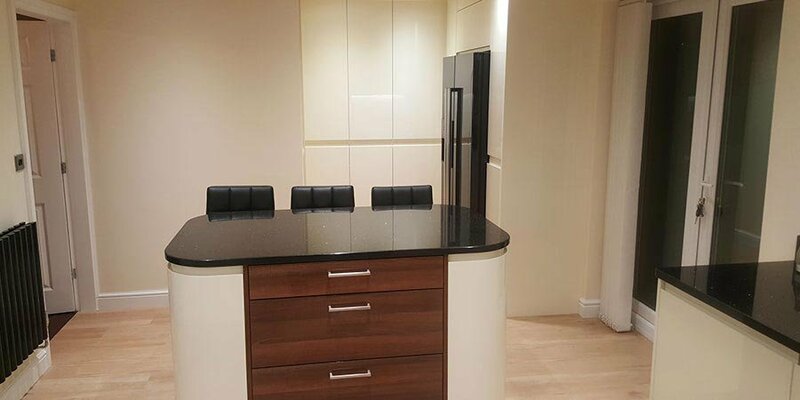 "Mayfair Granite replaced my worktops after I had poor quality worktops installed by another company, who refused to rectify the problems." 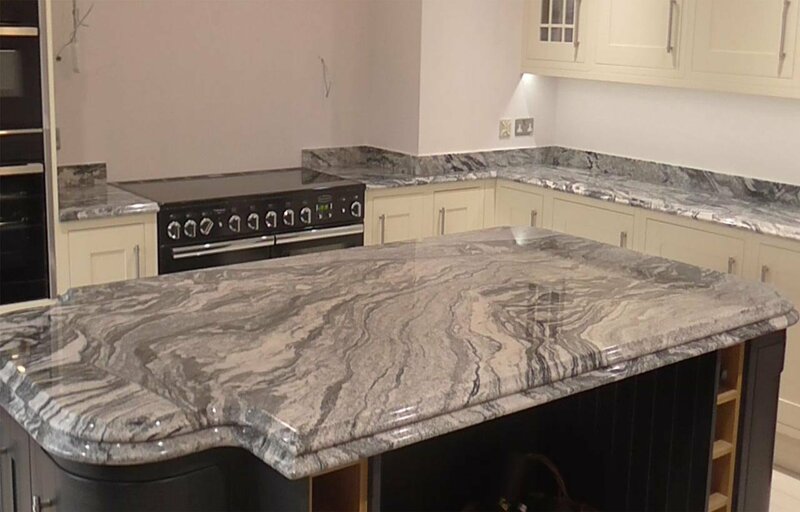 "Very satisfied with my granite worktops, which have now been replaced by Mayfair Granite, wish I had used them in the first place."